3. Next we need to install the 32 bit version of libXaw. 5. Follow the onscreen instructions to install the client. 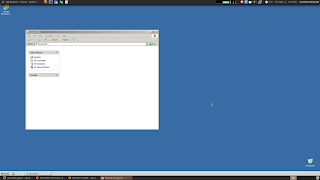 I installed client at /usr/lib/ICAClient and disabled Gnome and KDE integration as well as USB support. 6. Restart the browser if it was already open and navigate to your Citrix site. When the browser prompts to download the .ica file, select open with /usr/lib/ICAClient/wfica and you should be able to see your remote desktop on screen. 7. Alternatively, download the .ica file and run /usr/lib/ICAClient/wfica /path/to/my.ica (Replace /path/to/my.ica with the real path to your ica file. Thanx for the guide. But damn , review about the new 4n dude, We need a review.